With over 8,000 km of ski slopes in total, French ski areas claim to have the highest number of skiable kilometres in the world! 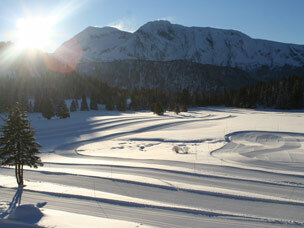 Ski areas in France can be described as large and varied with excellent snow cover due to generally high altitudes. 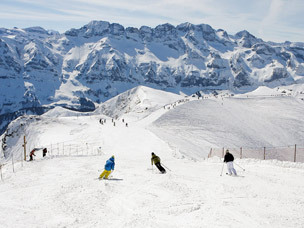 The Portes du Soleil and The Three Valleys ski areas, for example, are among the largest in the world and due to their particularly high altitudes, always offer excellent skiing conditions and guaranteed snow. On the slopes in France you can ski or snowboard for miles without having to take another ski lift. Those who love skiing in its purest state will be simply thrilled by what the French ski areas have to offer. Whether beginners or experts, snowboarders or skiers, everyone can find their dream ski slopes in France. Thanks to their location, often at very high altitudes above the cloud line, ski areas in France also offer a perfect blend of snow and sunshine. 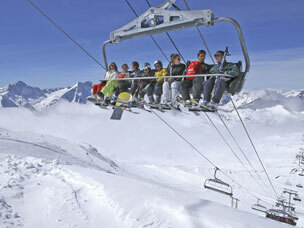 There’s nothing better than a great ski holiday and returning home with a suntan! French ski areas are also particularly good for family ski holidays as there is are a large number of ski in ski out accommodation options from chalets, hotels and apartments. Among the best ski areas in the French Alps for snowboarding are Serre Chevalier, in the Southern Alps, where you will find great freeriding and a huge freestyle terrain and Chamonix, in the Savoie region, which offers some tough, rather extreme off-piste terrain as well as the famous Vallee Blanche - a 23km run that will test your skills whatever your level! If you’re looking for all-round ski resorts that offer varied terrain to practice and improve on, then head to Tignes or Courchevel. Both ski resorts offer excellent on-piste and off-piste snowboarding that is not too extreme and therefore great for intermediates who want to gain confidence! If, however, extreme snowboarding is your thing then head to La Grave - La Meije where you will find almost only extreme descents! This ski area is really reserved for advanced skiers and snowboarders and is not recommend for families and beginners! For freestylers, the super pipe in Avoriaz is a must and its half pipe even has its own lift meaning no queuing with the masses - it is known as one of the best pipes in France. The Apocalypse Parc in Les Arcs has a great range of kickers and jibs and even free access to its airbag! Although much of the cross-country skiing in France takes place in the lower valley ski resorts such as Chamonix, there is still plenty of excellent cross-country skiing to be found in high altitude ski areas such as the Les Trois Vallées where you will find 130 km of perfectly prepared trails. The Les Portes du Soleil ski area boast a spectacular 250 km of trails, 40 of which are around the ski resort of Avoriaz and wind their way through stunning pine forests and up to high ridges where views of the surrounding mountains will oblige to stop for a break!